I’d say we have had a steady start to our rattan garden furniture season in 2016. Since the turn of the year the weather has not exactly been on our side as far as sitting in the garden is concerned and we have had several cold snaps at the beginning of spring. All the steady sales are coming to an end and being replaced by rapid sales to go with our rapid delivery service. The sun has finally come out and this always leads to customers turning their attention to their outdoor spaces. It’s very much BBQ season or at the very least it is the start of the BBQ season. What’s the point of a BBQ if you don’t have somewhere to sit, relax, and unwind. What better way to do this than on one of Zebranos, rattan garden furniture suites. We have an even larger range of rattan furniture this year and with our newly refurbished and extended showroom you can pop in and test it out for yourself. Our Essex showroom has more than doubled in size and now displays the largest selection of rattan outdoor furniture in the UK. Why not pop in for a coffee and see for yourself? To be honest this is probably not such a bad thing for Zebrano Rattan as we have been moving warehousing and implementing a new logistics system which is now fully operational. The quiet start to the season has meant that we have been able to test the system without being at full capacity. Reports from customers tell us that the new system has seen some dramatic increases in efficiency and that all results in lots of happy customers. 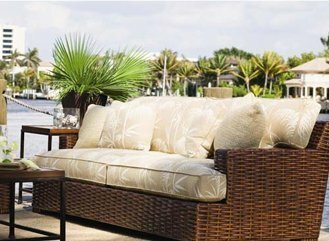 As our remit is to offer the best quality rattan garden furniture at the best price and with the best service, happy customers are exactly what we aim to have!